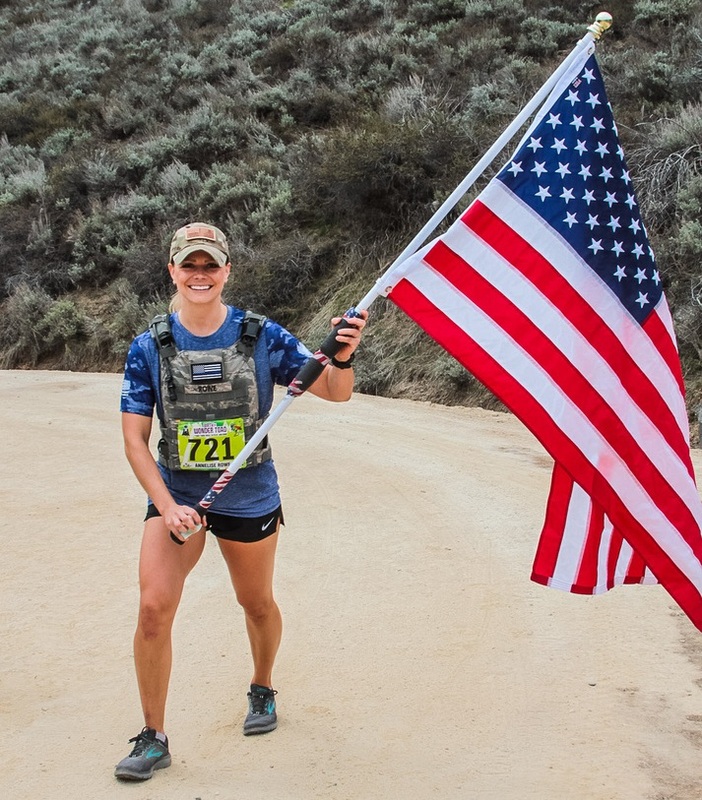 After spending 4.5-months away from home at the Security Forces Officer Course in San Antonio, Texas, I was ready to spend some much-needed time with my husband! He flew down to make the drive home with me, and we decided to turn the road trip into a week-long vacation through Arizona. In fact, in the 4+ years we have been married, it was the very first vacation we have taken where it's been just the two of us for the entire time (without another family member/friend). This was our trip! 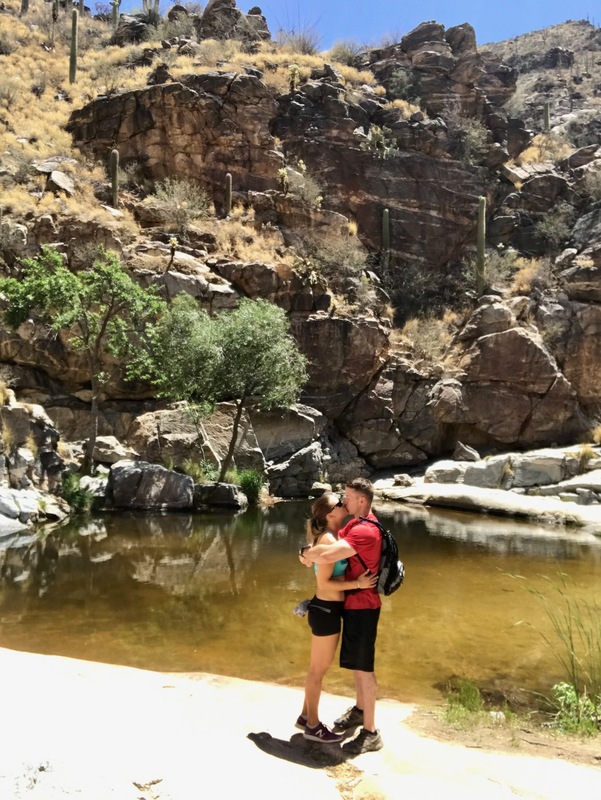 My favorite part of the vacation was that he surprised me with the entire trip, taking us to amazing and scenic locations all across Arizona on the way back. Prior to our departure, all I knew was that we were going to be driving home and stopping at a couple places along the way... he orchestrated the entire adventure and I couldn't have been more grateful or appreciative of the amount of time he took to set it all up for us. Man, I'm a lucky wife! The day before the road trip, we had to have one last trip to Gruene, Texas to enjoy a margarita at Cantina del Rio (BEST MARGARITAS EVER!). We also ate a delicious dinner at the Gristmill. 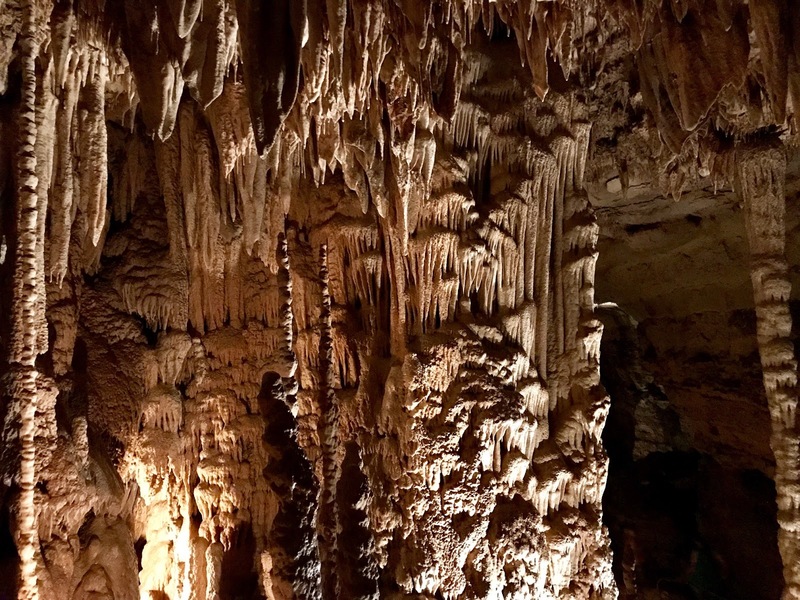 Before leaving Texas, we visited the Natural Bridge Caverns in New Braunfels. They were stunning! Our first stop was in Tuscon, Arizona. We stayed at the Loews Ventana Canyon Resort in Tanque Verde. That place was a dream getaway. The hotel was exquisite, secluded, and so romantic! We hiked all over the area while we were there. 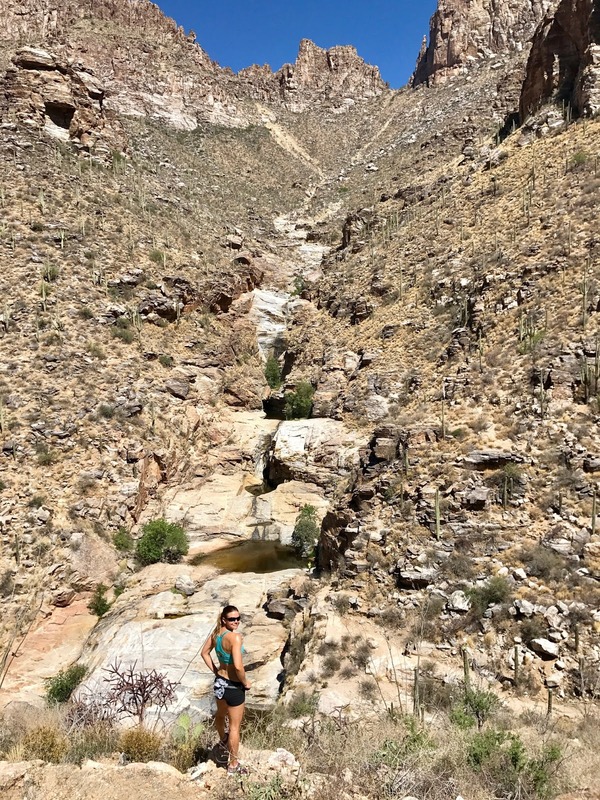 Our first hike was the Bear Canyon Trail to 7 Falls at Sabino Canyon. 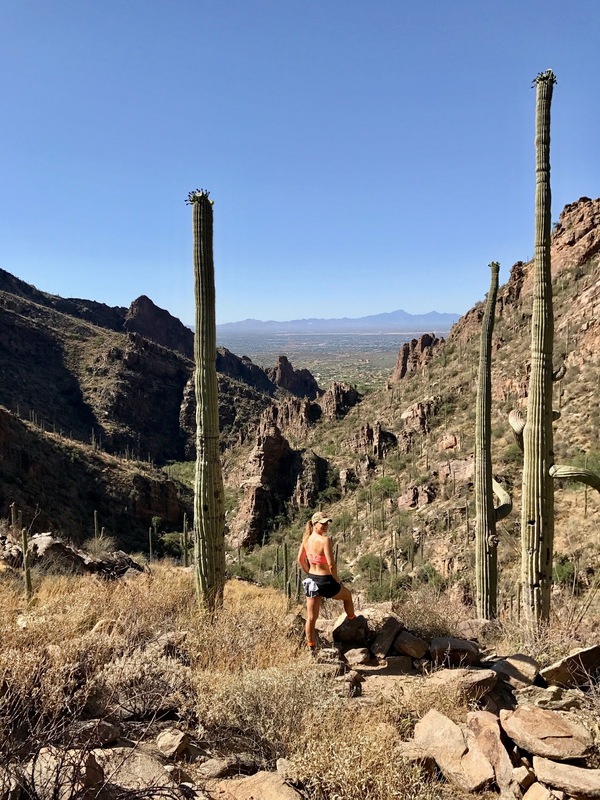 Our favorite hike of the trip was the Ventana Canyon trail, with the trailhead beginning at our resort. The trail was an intermediate level hike and got our blood pumping. We loved that it was a longer trail and could have spent all day on it. The views were incredible. After all our hikes, desert was a must. 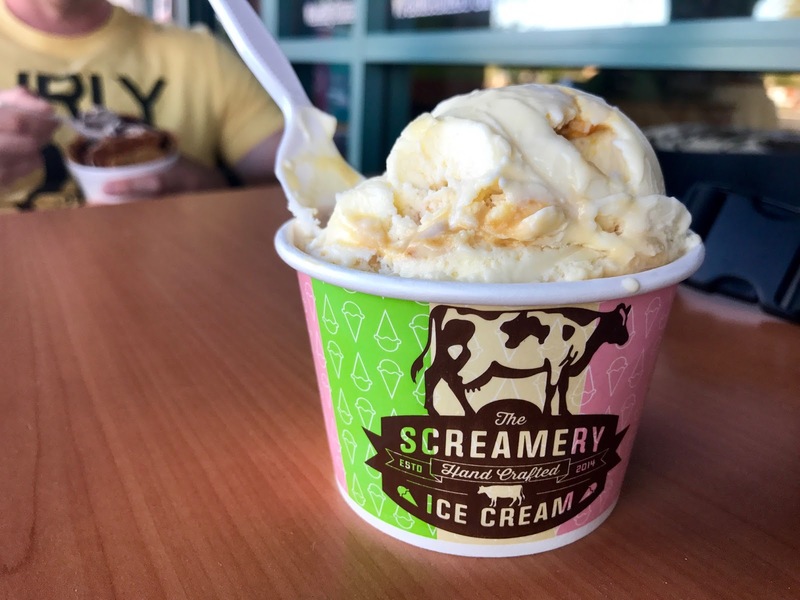 The Screamery in Tuscon was so yummy--their homemade ice cream was to die for. This was a cup of honeycomb & oatmeal monster cookie. It was not enough... I could have eaten an entire quart of it! We also visited the Sonoran Desert Museum just outside of Tuscon. It reminded us a lot of the Living Desert in Palm Desert, California. If you like zoos, this place was a must! Our next stop after Tuscon was Scottsdale, Arizona. We stayed at the Eagle Mountain Inn in Fountain Hills. 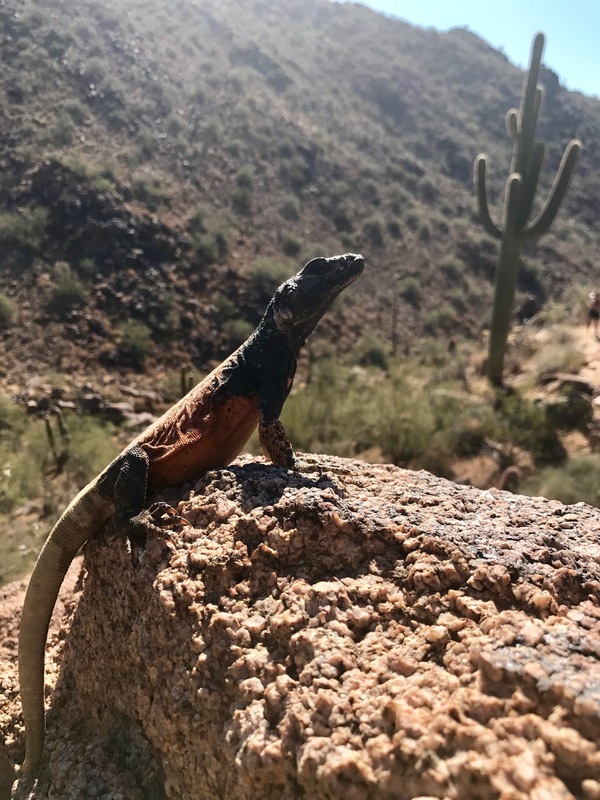 We found this chuckwalla on the Sunrise Trail in Scottsdale. That trail had a great incline, the most beautiful views, and tons and tons of lizards. This is a shot from the top of the Sunrise Trail. It's a must to make it to the top! In addition to ice cream, we had to try each town's #1 Mexican spot. 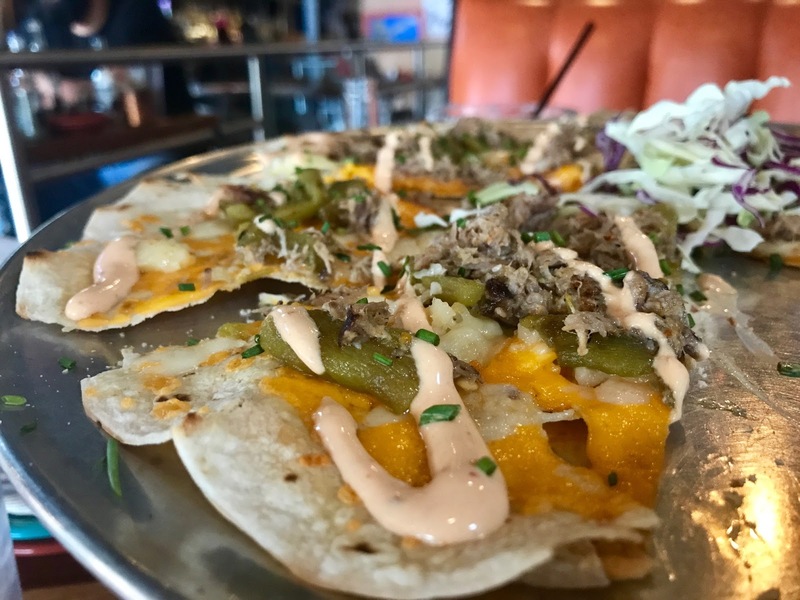 Our new favorite Mexican joint in Arizona (coming in closely behind Armando's in Palm Desert, California) is Cien Agaves in Old Town Scottsdale. This was the cheese crispy and it was the size of a huge pizza. That, along with their margaritas, made for our favorite meal of the entire trip. Our next stop was Chandler, Arizona (Daniel's hometown) and we stayed at the Wild Horse Casino. 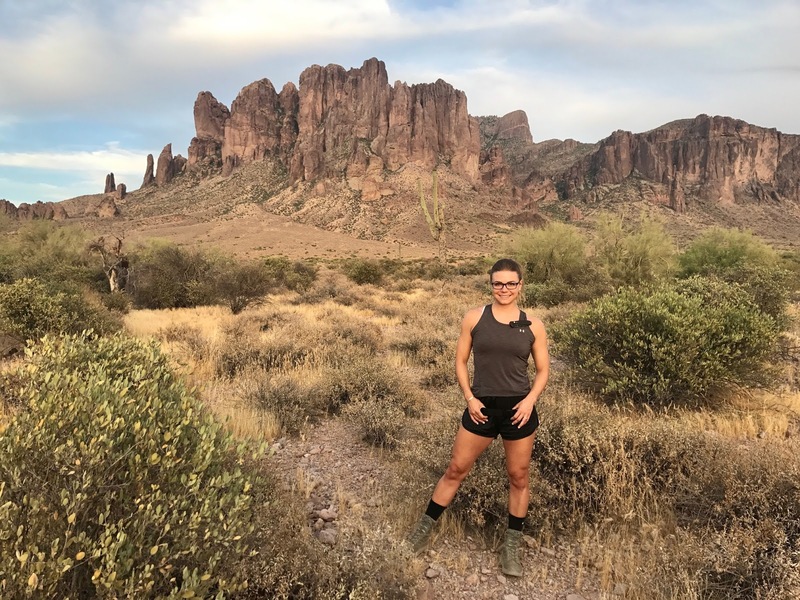 Our first evening there, we did a night time hike at the Siphon Draw Trail at the Lost Dutchman State Park (Superstition Mountains) in Apache Junction, AZ. It was a VERY, very cool hike... beautiful during the day and CRAZY at night because that's when the "creatures" come out to play (if you don't like spiders, DO NOT look at the next photo...)! 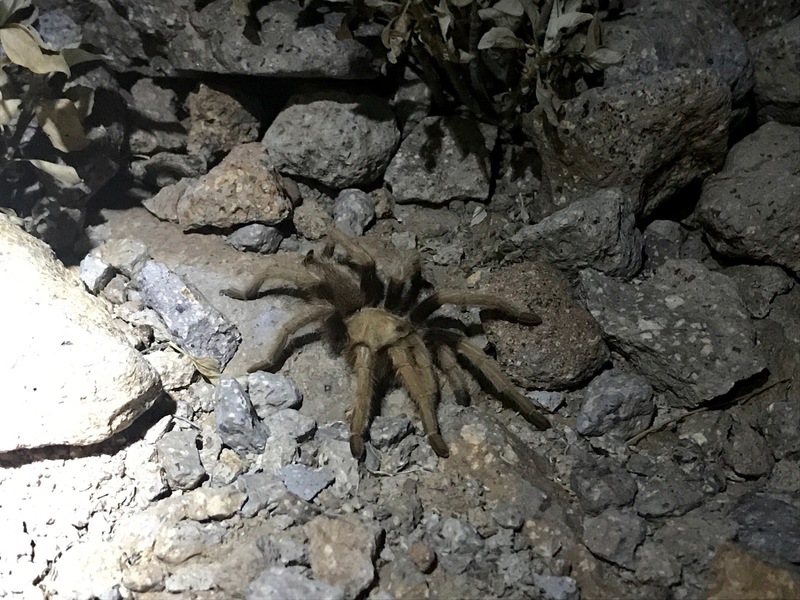 We saw at least 30 GIANT tarantulas and a bark scorpion as soon as the sun went down on the Siphon Draw trail. If the park didn't close at 10:00 pm, we would have spent all night looking for cool (read: creepy) things! 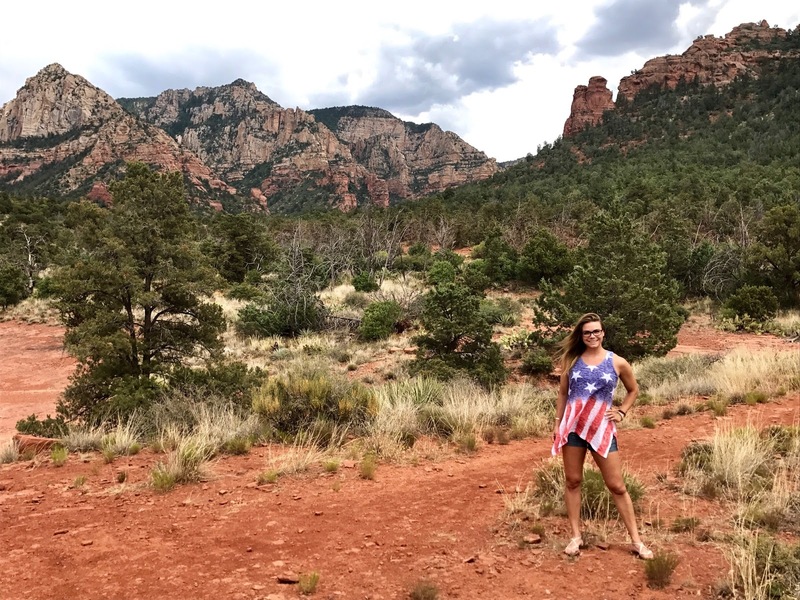 The last night of our road trip was spent at the Plaza Hotel at Fremont Street in Vegas, though on the way there we stopped in Sedona, Arizona to check out the quaint little town. It was so scenic and the perfect spot to spend a couple of hours before hitting Vegas. The entire week was so magical. I didn't share photos of all our hikes or every adventure we took... but each one was one for the memory books. 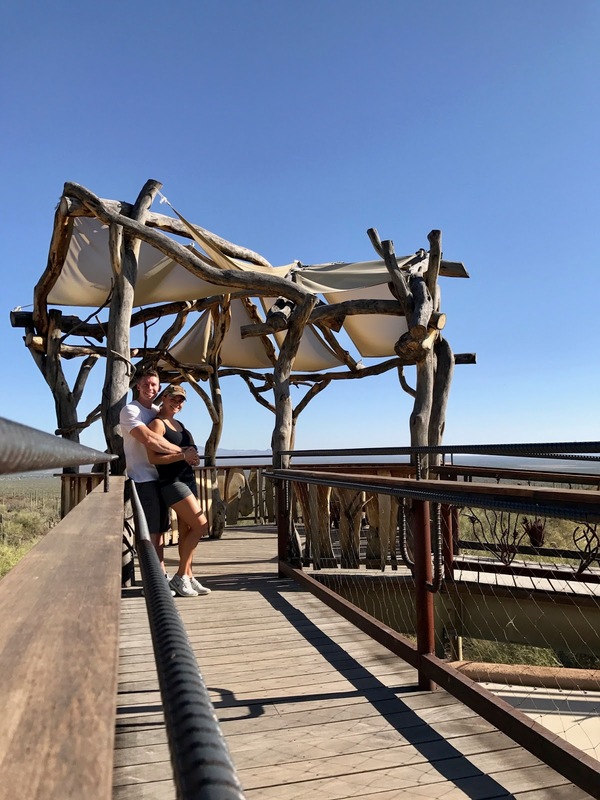 I was blown away by the amount of time that Daniel took to research and plan our trip, and so grateful that he did it all as a surprise for me. The trip was exactly the vacation I needed to bookend my training prior to going back to work. I don't think it could have been any better! 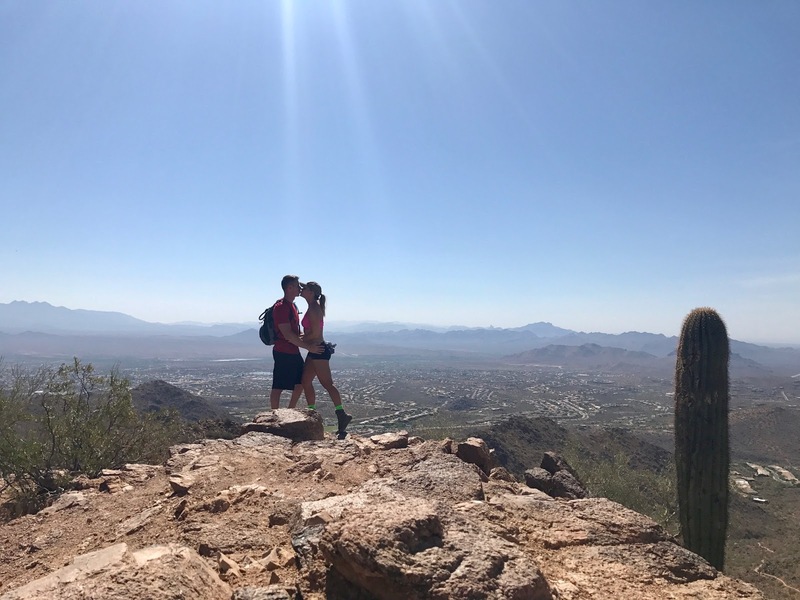 It may have been our first trip to Arizona together, but it certainly won't be our last!